HYPERMILING: Is Gas Still Expensive? Oh, and the question? 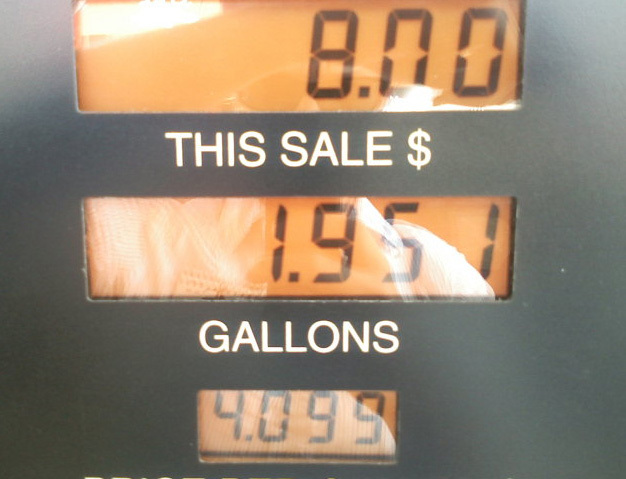 Yes, gas has dropped in price, but it’s still plenty expensive. HYPERMILING: The Gas Pedal Has Had Enough! Nissan Motor Co said on Monday it has developed an accelerator pedal that can push back on the driver’s foot when it detects excess pressure and poor fuel efficiency. The article goes on to say the company claims it can improve fuel efficiency 5-10 percent. Apparently it will also come with a real-time fuel use gauge, which to me sounds similar to the major function of the ScanGaugue. The ECO pedal makes me immediately think of an egg. Let me explain. I have a free ECO pedal. It’s called my foot. Instead of relying on my car’s computer, I let the ol’ soggy noodle do the work. Admittedly, sometimes it fails. But here’s my tip for gentler acceleration and improved MPG ratings.I got the idea from tips I’d read about driving in the snow, in which people suggest treating the brake pedal like you’ve got an egg between the pedal and your foot. Nice and gentle. With hypermiling, think of the gas pedal the same way. In fact, I’ve taken to lightly resting my foot on the gas, and leaning into it slightly just with my big toe.